Learn how to set your recruiting efforts apart from the rest by creating a phenomenal candidate experience. When’s the last time you took a good look at the candidate journey you’re providing prospective jobseekers? According to an iCIMS report, “67% of employed American adults agree that the application, interview or offer process would make or break their decision on whether to take a job.” And, “[a]n overwhelming majority (95%) agree that the way a potential employer treats them as a candidate is a reflection of how they would treat them as an employee.” When you don’t take the candidate experience into consideration, you’re not only missing out on top talent but you’re also hurting your company’s reputation and bottom line. And while there’s a ton buzz around the new technologies in AI and automation that are speeding up the recruiting process, these advances will never replace recruiters, and they cannot guarantee that more candidates will accept our job offers. So, what’s the secret to retaining more applications, connecting with more qualified job seekers and overall hiring success? The answer is simple - human touch. Join us for this FREE on-demand webinar where candidate experience expert, and TalentCon 2019 speaker Adela Schoolderman reveals simple ways to engage with and retain active job seekers, and addresses new way of thinking that will positively impact your candidates’ journey. 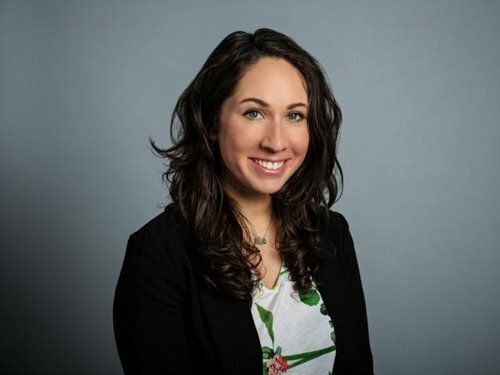 Adela Schoolderman is a senior talent acquisition and engagement professional at Expert Velocity, a subsidiary of Point B, Inc., headquartered in Seattle, WA. Adela has over 11 years’ experience in talent acquisition, with a passion for candidate experience and coaching hiring managers and recruiters on how to deliver a white glove experience to candidates. She is AIRS certified and holds a Masters of Human Resource. Since helping her previous company win a Candidate Experience Award in 2016, she has partnered with the Talent Board to bring Candidate Experience strategies and inspiration to organizations across the country. She is co-presenting The Rules of Engagement for Candidate Attraction: How What You’re Doing—Or Not Doing—Could Be Sabotaging Your Recruitment Efforts at TalentCon 2019. Join the Employee Experience Revolution and learn how to strategically design and develop positive employee experiences at every stage of the employment lifecycle to promote sustainable employee engagement, retention, and business innovation. Yes, I'd like to receive HR Daily Advisor e-mails!